Short for Linux, Apache, MySQL and PHP, an open-source Web development platform, also called a Web stack, that uses Linux as the operating system, Apache as the Web server, MySQL as the RDBMS and PHP as the object-oriented scripting language. Perl or Python is often substituted for PHP. An ordinary server with Ubuntu 14.04 LTS installed. You can install it on any platform, but here the documentations are based on the Ubuntu / debian server. Type the below command for installing apache 2 package from repository. Issue the below command to install mysql server with dependencies. During installation it will prompt for a new password for mysql root . Give some strong password and retype the same password for confirmation. After installation check the Database connection. Mysql server installation is over. 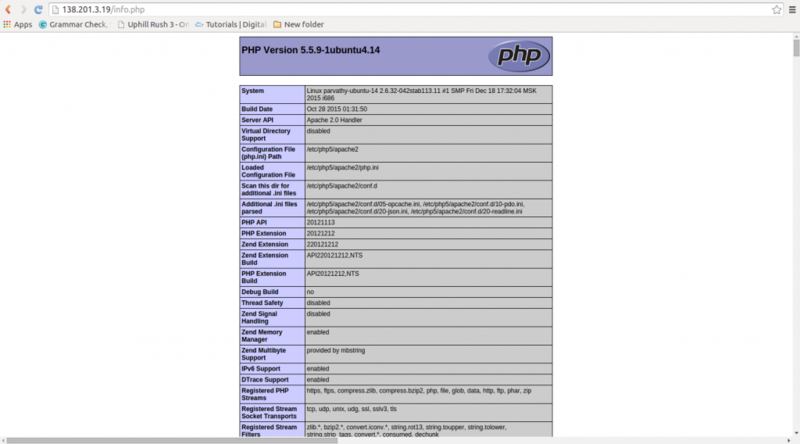 Type the below command to install php5. Create a php file and paste the below code into the file to show the php configuration . 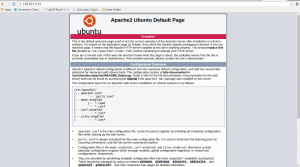 Goto the default apache root path /var/www/html . create a new file info.php and paste the below code and save it. Please use the following codes to create a phpinfo page. Now restart the apache2 service. Now open the file in the browser ( Eg: http://yourip/info.php ) you can see the php information page as below. Make sure you can see the mysql details in the php information page. We have successfully configured Apache2 , mysql and php.